Ahana, a wealthy 33-year-old New Delhi woman, flees the pain of her mother's death, and her dark past, by accepting a huge project in New Orleans, where she'll coordinate an annual conference to raise awareness of violence against women. Her half-Indian, half-Irish colleague and public-relations guru, Rohan Brady, who helps Ahana develop her online presence, offends her prim sensibilities with his raunchy humor. She is convinced he's a womanizer. Meanwhile, she seeks relief from her pain in an online support group, where she makes a good friend: the mercurial Jay Dubois, who is also grieving the loss of his mother. 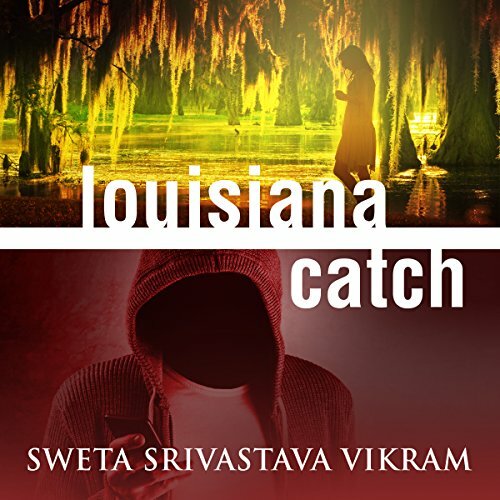 Louisiana Catch is an emotionally immersive novel about identity, shame, and who we project ourselves to be in the world. It's an audiobook about Ahana's unreliable instincts and her ongoing battle to determine whom to place her trust in as she, Rohan, and Jay shed layers of their identities. Great story that showed strength comes in many forms. So drawn in, wanted to reach out to Ahana with advice.